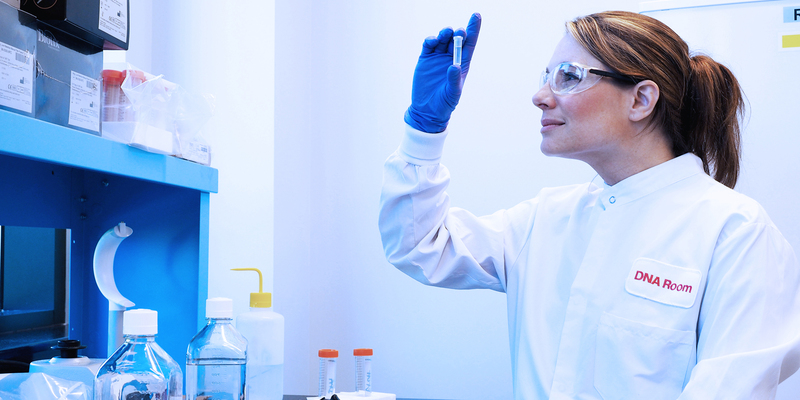 Tap into our proven antibody generation and purification technologies. Cygnus Technologies will work with you to develop, qualify, and manufacture a robust kit that meets your specific process monitoring, release testing, and regulatory needs. 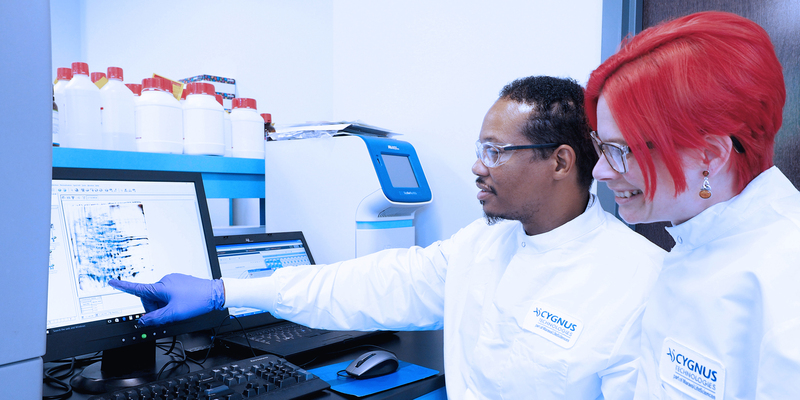 We provide comprehensive qualification of your custom assay to meet global regulatory requirements, as well as state-of-the-art orthogonal methods, including our advanced antibody affinity extraction method. Utilizing proprietary technologies for the generation and affinity purification of sensitive and broadly reactive polyclonal antibodies, Cygnus has developed ELISAs to more than 50 different recombinant expression systems, including those from bacteria, yeast, human and mammalian cell lines, as well as transgenic and plant expression systems. Our menu of purification leachate ELISAs includes most natural and recombinant Protein A ligands. Tap into our Mix-N-Go™ platform, which incorporates the revolutionary single-step sample treatment procedure, and develop a Protein A ELISA kit specific to your Protein A or other affinity ligand constructs. Use our proprietary DNA extraction method to recover <1pg/ml residual DNA free from contaminating proteins, salts, and detergents. Contact us to help you develop a robust and reproducible DNA detection or amplification assay. What is optimal, Process-Specific versus Generic/Platform/Multi-Use HCP Assays? Please review our technical article in the Publications section for our website for a very detailed discussion on the definitions, limitations, misunderstandings and myths of Process-Specific versus Multi-Use assays. 1. Selection of an antigen that is truly representative of HCPs found at that step in the purification process. 2. The processing of the antigen to make a potent immunogen. 3. Methods for immunizing animals that insure broad reactivity and high antibody titer. 4. Subsequent affinity purification of that antibody. If one fails to understand how to make a good HCP antibody, then simply calling it Process Specific, based on the use of upstream, null cell antigen material does not insure it is a good antibody. The proof of the validity of an antibody is found in the validation of the assay for detection of HCP in downstream and final drug substance. All assays, whether they are arbitrarily termed Process-Specific, Platform, Generic, Commercial or Multi-Use must be validated the same way using real downstream and final drug substance samples while following conventional, objective parameters for validation of analytical methods. One- and two-dimensional Western blot have traditionally been used as orthogonal methods in an attempt to characterize antibody reactivity to individual upstream HCPs. Unfortunately, Western blot is too insensitive and non-specific to be of any practical value in demonstrating antibody to individual downstream HCPs. While Western blot can detect the more abundant upstream HCPs it has very little predictive value for ELISA performance. The absence of a western blot band or spot to an individual HCP does not necessarily mean the ELISA will fail to detect that HCP. Cygnus developed and now offers a service much superior to WB in both sensitivity and specificity. This method is termed Antibody Affinity Extraction (AAE). AAE is >100 times more sensitive the 2D WB and more specific. As such, AAE can identify and determine antibody coverage to the most important HCPs, those that co-purify with drug substance. Along with qualification of the ELISA, AAE can better answer the question of reactivity and help objectively answer the question if a generic or presumed process specific assay is fit for purpose. See our AAE white paper on our web site. Contact our expert scientists for how to use state of the art orthogonal methods like AAE and Mass Spectrometry to determine if a generic kit is acceptable for lot release testing of if a process specific assay is needed.